Contains: Difenacoum 0.005% w/w and denatonium benzoate 0.001% w/w. Application: In and around buildings, open areas and waste dumps. Roban Pellet Bait is a ready-for-use bait formulated using a blend of cereals, sugars, proteins and fats, with taste adjuvants to improve bait ‘take’. 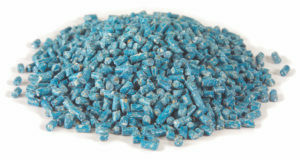 Roban Pellet Bait is highly palatable and effective against all pest rodents. It can be used in and around buildings, open areas and waste dumps if well protected from moisture.